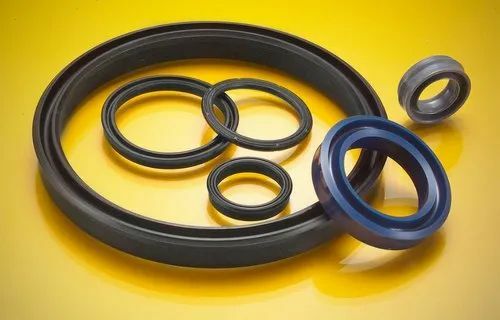 We are Manufacturer of a high quality range of Hydro Seal, Rubber Sheet, Moulded Rubber Products, Oil Seal, O Rings, Rubber Gasket, Rubber Mat, etc. Owing to our rich industry experience, we are engaged in manufacturing an excellent quality range of Hydro Seal, Rubber Sheet, Moulded Rubber Products, Oil Seal, O Rings, Rubber Gasket, Rubber Mat, etc. These products are precisely manufactured in compliance with international quality standards by making use of excellent quality material with the help of cutting-edge technology. Further, these products are known for abrasion resistance, dimensional accuracy, high tensile strength, flawless finish and durability. We offer these products in various specifications at market leading price to the clients.